Dhorpatan Trek is a west Nepal camping trek, newly mapped and discovered by Man Bahadur Katri in year 2017. Dhorpatan Trek 14 days 13 nights is an adventurous camping trek to see the Magar culture and villages in western Nepal. 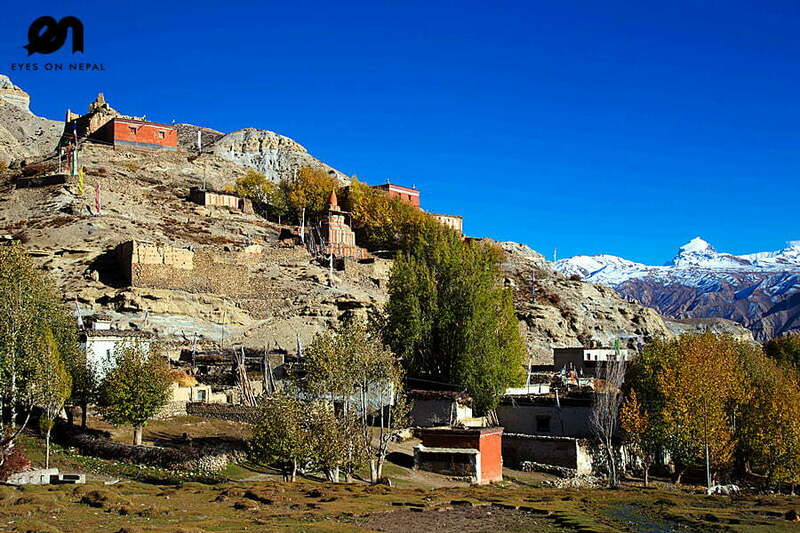 During your Trek, there won’t be guest houses and hotels available along the trekking trails. The trek will start from Pokhara and ends at Pokhara. It is a choice for those adventure seekers who want to experience trekking in Nepal, whereby no one done before. We will operate this trek with minimum 10 person in a group. 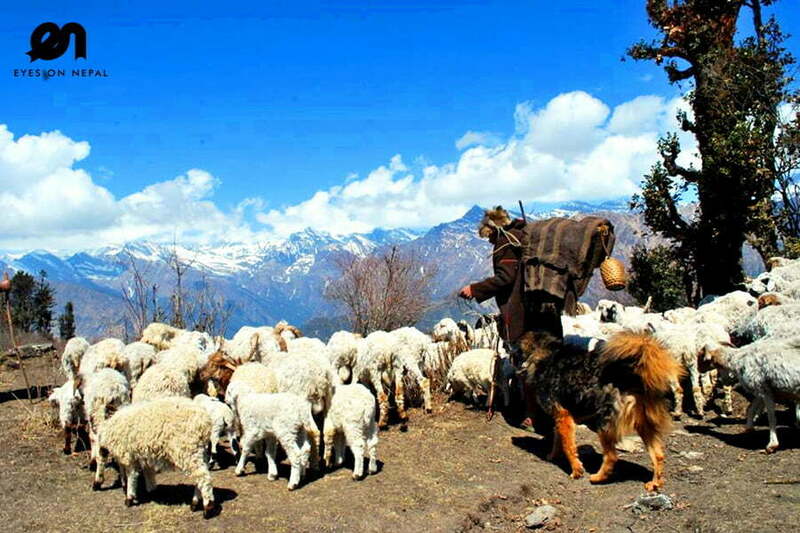 You will be lead by Man Bahadur Katri, who is the founder of this Dhorpatan Trek. Kindly email to us for fixed departure group dates on Oct 2017, Nov 2018, Feb 2018 and March 2018. Takasera, Nepal. What you will see during the Dhorpatan Trek 14 days 13 nights. 08.00am: Pick up, and transfer to Beni .Note: Private transportation. 09.00am: We will be on the journey going to Beni. It will take 8 hours. NOTE: Lunch en route at own expenses. 04.00pm: Arrive at Beni. Overnight in Yeti Hotel. Dinner at hotel. Free & easy at own leisure after check in hotel. 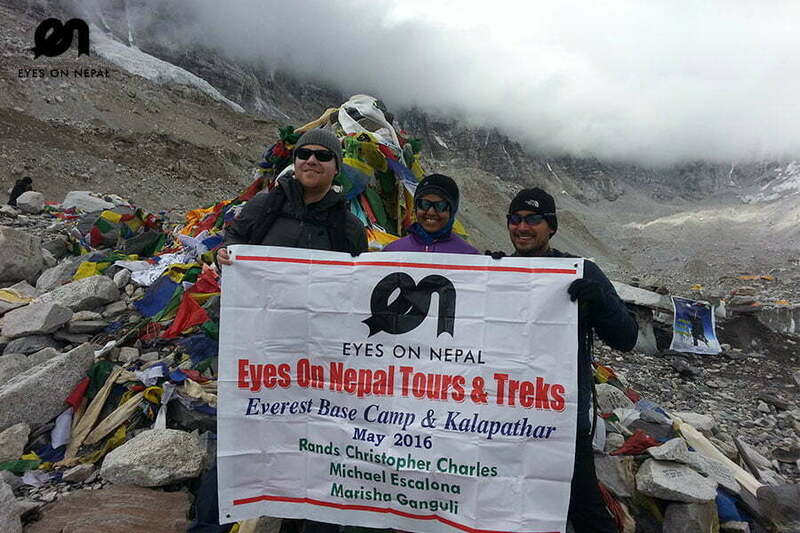 Highlights: Dhaulagiri Peaks(8191m) and Dhaulagiri range of mountains. NOTE: Bumpy and hilly roads, sometimes we need to change the transportation if we use bus instead of 4X4 drive. 08.00am: Check out hotel. We will depart to Muna. NOTE: We will have lunch en route at Dharapani (1560m). Dharapani is a beautiful village, perfect place to have the first view of Dhaulagiri range of mountains. 02.00pm: Arrive in Muna. We will set up tents and camps in Muna camping site. Dinner will be prepared at the camp site by our crews. 07.30 am: Breakfast. Pack, and prepare to move. 09.00 am: We will start to trek to Lumsong. Descriptions: We will trek along the Dar River. During the trek, we will pass by beautiful Narza Khola waterfall. Today we will not see mountains, but you will enjoy beautiful landscapes of river and waterfall. 02.00 pm: Arrive in Lumsong. We will set up tents and camps. Dinner will be prepared at the camp site by our crews. Descriptions: Lumsong is an isolated local village with not many populations. 09.00 am: We will start to trek to Jaljala Pass. Descriptions: Before Jaljala Pass, we will pass through Moreni Village. From Moreni Village we can see beautiful Gurja Peak(7193m). After Moreni village, we will walk in the jungle, we can see difference types of flora and fauna. Jaljala Pass is a flat land with no permanent houses. Jaljala is a shelter for the locals during the monsoon season of Nepal which is in month of July and August. Locals will set up their temporary shelters here with their tamed animals like buffalo, cows, goats, chickens, sheep etc. Jaljala is a beautiful wet land where you can see lots of mountains in west Dhalagiri like Churen (7371m), Dhaulagiri 6 and many others mountains. 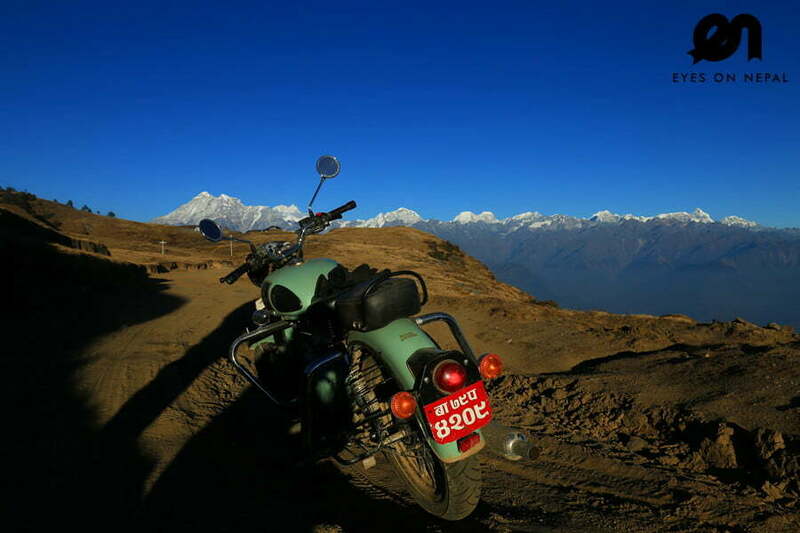 You can see panoramic views of Dhaulagiri range of mountains. Before arrive in Jaljala, during March & April, you will see a lot of rhododendron (National flower of Nepal). Jaljala is the starting point of Dhorpatan Hunting Reserve. In Nepal, only 1 x Hunting Reserve which is located at Dhorpatan area. People come here to hunt using Helicopter for difference type of mountains’ deers. To hunt in Dhorpatan Hunting Reserve, you need to apply license with us. It is expensive to hunt, you can ask us for more information. Hunting is based on bidding system in Nepal. Dhorpatan Hunting Reserve – in Total, there is 6 hunting blocks. 60% lands owned by Rukum District, with 4 x hunting blocks. 40% land owned by Mayagdi & Baglong Districts, 2 x hunting blocks. Jaljala Pass is the best place to see difference type of wild flora and fauna, and west Dhaulagiri range of mountains. 04.00pm: Arrive in Jaljala, we will set up tents and camps. Dinner will be prepared at the camp site by our crews. 09.00 am: We will start to trek to Chhentung. Today, only houses and not much Tibetan reside here. You can spot Tibetan Herbal Medical School in this area too. It is not open all the time, it is a school for research purposes only about the herbals. 04.00pm: Arrive in Chhentung, we will set up tents and camps. Dinner will be prepared at the camp site by our crews. 09.00 am: We will start to trek to Dahakharka. Descriptions: We will trek along the tiny spring water path for 4km, then we will arrive at a ridge, where we can see mountains twin peaks named Putha(7236m) and Churen(7371m). We are entering the block Phalgune block of Dhorpatan Hunting Reserve. This is the easiest block to access of Dhorpatan Hunting Reserve. This is a shelter area for the locals during monsoon season of Nepal. They built temporary house and to keep their animals with them during the monsoon. Daha means small ponds(lake). Kharka means pastured land. Livestocks like horses, cows, sheep , goats can find grass as foods here. We also call it grazing land. 04.00pm: Arrive in Dahakharka, we will set up tents and camps. Dinner will be prepared at the camp site by our crews. 09.00 am: We will start to trek to Jalpa Lake. Descriptions: Today is the best day to see west Dhaulagiri range of mountains. In Jalpa Lake, only shelter available for the people who work during the monsoon on the mountain. So is very basic shelter. Enjoy the view. 04.00pm: Arrive in Jalpa Lake, we will set up tents and camps. Dinner will be prepared at the camp site by our crews. 09.00 am: We will start to trek to Baluwa. Descriptions: Today we don’t have difficult trek. We trek along the ridge. Baluwa located in west Nepal. We need to carry enough water for the day with good views. NOTE: We will prepare the lunch in the morning, and you will need to carry your own lunch as there are no water source on the way from Jalpa lake to Baluwa. 05.00pm: Arrive in Baluwa, we will set up tents and camps. Dinner will be prepared at the camp site by our crews. 09.00 am: We will start to trek to Hukam. Descriptions: Hukam is a village for Magar. These is a indigenous ethnic which their ancestors are from Mongolia and Tibet, representing 7.13% of the Nepal’s total population. They have basic things for living, no private toilet, not so clean, poor. 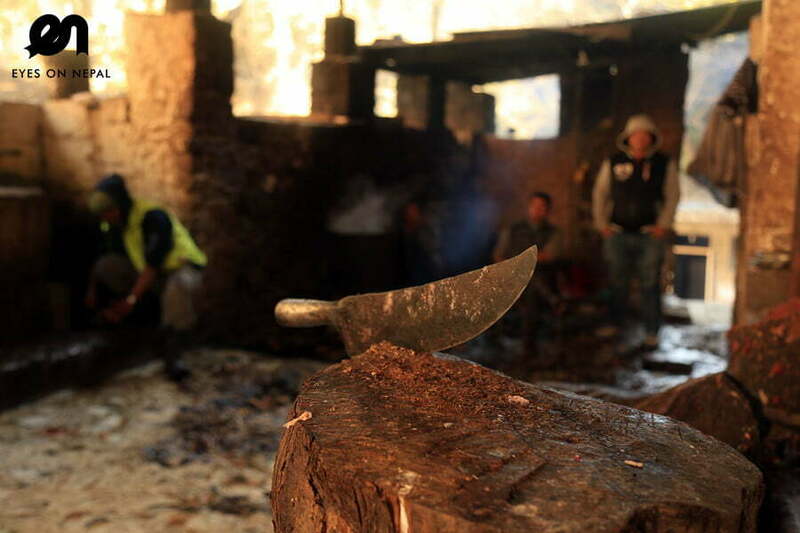 They have very unique culture as they made most of the things on their own such as clothes, cooking utensil, kitchens, and house. Most of them don’t shower for years. There is a school, police station, health post. They don’t grow vegetables; they are eating meats most of the time. NOTE: We will prepare the lunch in the morning, and you will need to carry your own lunch as there are no water source on the way from Baluwa to Hukam. 05.00pm: Arrive in Hukam, we will set up tents and camps. Dinner will be prepared at the camp site by our crews. 09.00 am: We will start to trek to Dharmasala. 02.00pm: Arrive in Dharmasala, we will set up tents and camps. Dinner will be prepared at the camp site by our crews. 09.00 am: We will start to trek to Takasera. Descriptions: Takasera is a beautiful village for Magar etnic. Beautiful local houses and culture. We will pass-by Pauwa – a shelter for prayers for the locals. From Pauwa you will see beautiful mountains. You will see a lot of villages from the ridge. 02.00pm: Arrive in Takasera, we will set up tents and camps beside the river. Dinner will be prepared at the camp site by our crews. 09.00 am: We will start to trek to Lukum. Descriptions: Lukum is a Magar village. This is the village for “Shaman”. A lot of people here practice “Shamanism”. This is the oldest Hindu religion. 02.00pm: Arrive in Lukum, we will set up tents and camps. Dinner will be prepared at the camp site by our crews. 09.00 am: We will catch the local transport from Lukum to Burtibang. It is a bumpy road. 02.00 pm: Arrive in Burtibang. Check in hotel. Lunch and dinner will be prepared at the hotel for you. 09.00 am: Pick up and transfer to Pokhara. 05.00 pm: Arrive in Pokhara. Check in hotel. Trek ends. Congratulation! We will have good dinner at Boomerang Restaurant Pokhara. All camping equipment such as tents, cooking utensils.